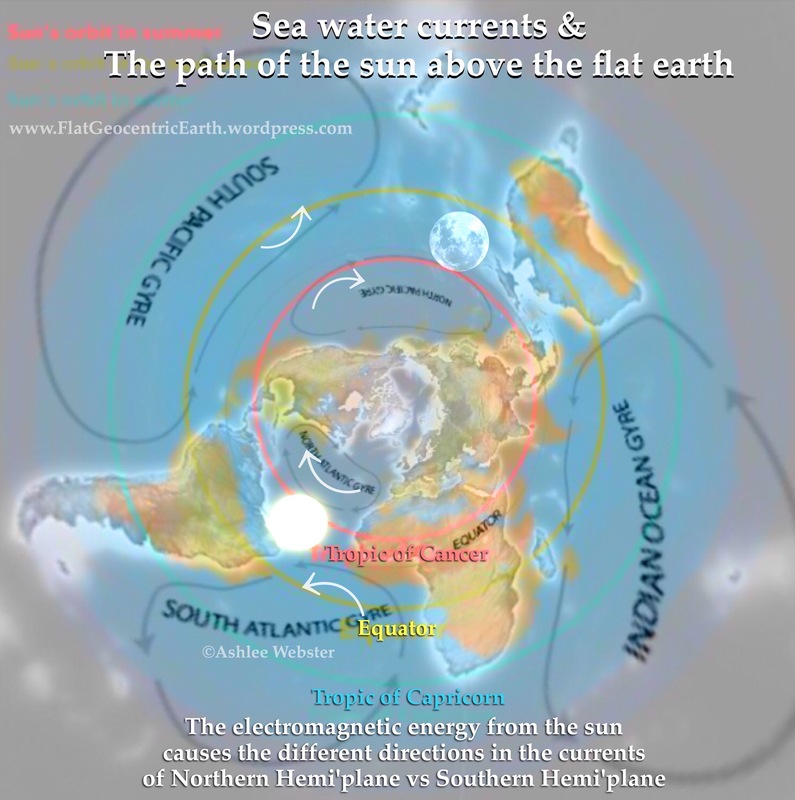 The sun’s electromagnetic energy moves from the Tropic of Cancer outward towards the Tropic of Capricorn and then back again throughout a year, pushing the water away from its path as it makes its journey creating the two directions in water current flow. The picture above is a sea water map that NOAA published layered over an azimuthal equidistant flat earth style map to illustrate better how this works. As the sun moves along its annual path its energy pushes the currents outward and away from its path causing the two directions in water current. Also explaining the Coriolis effect.